We've just returned from a holiday in the United Arab Emirates, visiting one of my best friends from Macau who now lives in Dubai, and a friend I went to high school with who I haven't seen in 23 years since our high school graduation day who now lives in Abu Dhabi. It's Chinese New Year here in China, and my sons, who go to a local Chinese school, have over five weeks off of school. So we looked for a place which was warm and where we have friends we could crash with (we're about to pay for the second term of the school year, so we needed to economize). It was lovely and wonderful and exactly what we needed as a family (my husband only got to join us for a few days) and I'll write more about it later. But something funny happened, which happens pretty much everywhere we go in the world: a total stranger approached me for help in a place I knew next to nothing about. It's happened to me on my first day in London (with a Chinese man who was lost on the Underground), during a holiday in Tokyo, and immediately after our arrival in Macau, plus plenty of other times on vacations throughout the world. 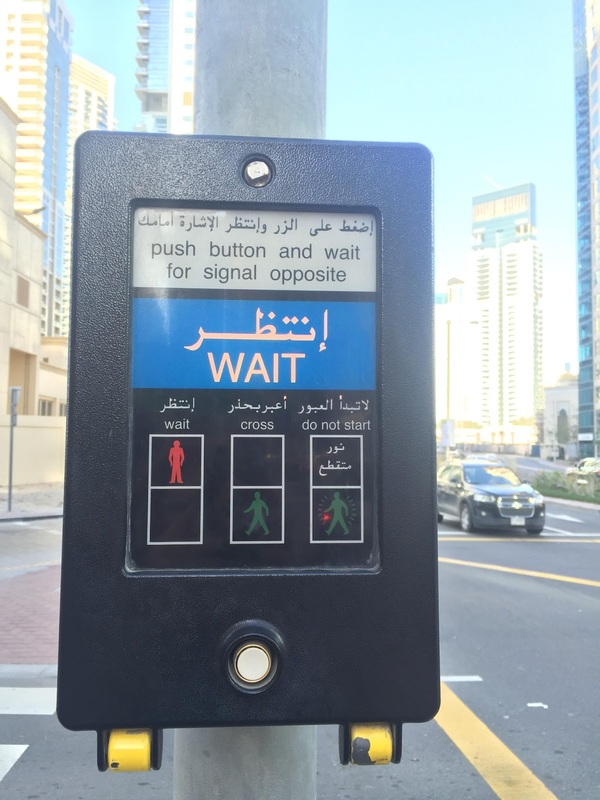 It happened twice during this trip to Dubai. 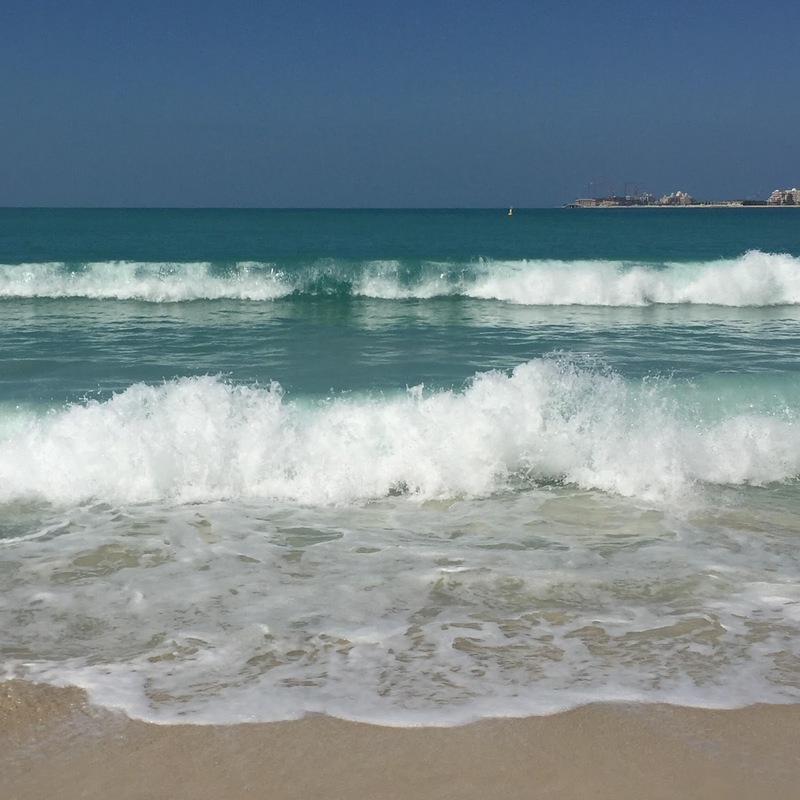 Once, when the boys and I were were wandering along the coast of the Persian Gulf (which in the UAE is called the Arabian Gulf, I was corrected multiple times), enjoying the warm air and listening to the turquoise waves crash on the incredibly soft sand (see photo at top of post). "Excuse me, We're trying to find the Metro?" It took me a moment to realize the young couple were actually addressing me. Having just taken the Metro, and done the same walk that they were going to need to do (25-30 minute duration), I asked their final destination, looked up the proximity to a Metro station at the other end, saw how close it was to where we were, and quickly judged the price of the Metro vs. the cost of a taxi, and recommended that they just take a taxi to save time, spending about the same money. I'd passed a taxi stand so I sent them there, and I went back to enjoying the sun and surf. The second time was at about 1:30 a.m. at the Dubai International Airport, while I was gazing off at nothing, waiting in a long line at Starbucks before our connecting flight to Moscow. A woman walked directly up to me, thrust her phone at me, and said, "I can't connect to the wifi, can you get it to work?" She didn't have an iPhone (which is really the only smartphone I have any experience with), but I took the phone and spent several minutes trying to help her figure out the slightly complicated way the airport has to get you on their free wifi, and then back into the messaging app she was trying to use to send a friend at her destination a text about her delayed flight. Off she went, a quick "thanks" over her shoulder. There was a man in a suit with an American accent in front of me, and he turned to ask if that was my mom. "Nope, never met her before." He looked slightly taken aback. "Why did she ask you for help?" "Beats me. She really should have asked my 15 year old son over there. He's the expert with all things wifi." He grinned widely, and said, "It's your friendly face." I don't think I'm particularly friendly... I'm an introvert and don't go making conversation with random strangers if I can help it (that would be my Dad). But I do have insatiable curiosity about everything in the world around me. I'm highly observant with a great sense of direction, and I ask a thousand questions. The best thing that ever happened to me was when I got an iPhone (my first ever smartphone) and had Google at my fingertips to answer any question in seconds. My brain exploded with happiness at all the new information which was mine instantly! My kids say I know everything. That isn't true at all. The more I learn, the more I realize there is so much I don't know. But I do know how to find answers, and if someone asks me a question I don't know the answer to, I tend to drop everything until I can find the answer or can point them to another person who can answer it. I'm not really sure why people confidently approach me for directions and help, especially when I'm lost in revelry over the beauty of the shoreline, or completely zoned out waiting for caffeine in an airport terminal after midnight. But it never, ever annoys me. So maybe even if I don't feel that I'm particularly friendly, the guy in line was right... my face must say otherwise. Now if you walk up to me and ask me something about Shanghai, where I have lived for four years, you'll get the full guided tour with fun facts and even commentary on where the best western toilets are while we're out and about. Go ahead... come visit and test me on this!